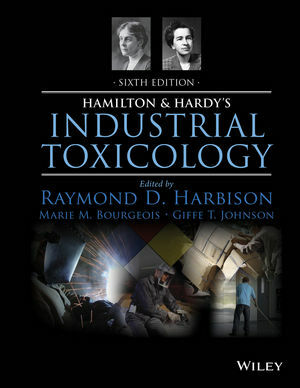 Providing a concise, yet comprehensive, reference on all aspects of industrial exposures and toxicants; this book aids toxicologists, industrial hygienists, and occupational physicians to investigate workplace health problems. Raymond Harbison is a Professor of Environmental and Occupational Health and of Pathology and Pharmacology at the University of South Florida. He has more than thirty years of experience as a toxicologist, pharmacologist, and human health risk assessor. Marie Bourgeois is a Research Assistant Professor at University of South Florida. With Masters and Doctorate degrees in Toxicology and Risk Assessment, she teaches undergraduate courses related to environmental, occupational, and public health. Giffe Johnson is a Research Assistant Professor at University of South Florida. He has published and presented research on a variety of topics related to environmental and occupational health.